The Library of Congress announced Wednesday that the films "The Goonies," ''Titanic," ''Field of Dreams" and "Die Hard" are among the 25 movies tapped for preservation this year. 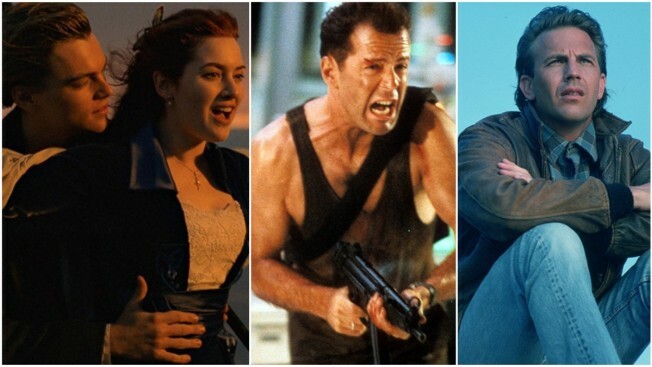 A band of misfits known as the Goonies, a sinking ship, some baseball ghosts and the unrelenting New York cop John McClane are being added to the prestigious National Film Registry. This year's slate includes the 1987 musical biopic "La Bamba," ''Superman" from 1978, the 2000 thriller "Memento" and 1941's animated "Dumbo." This year's picks bring the total number of films in the registry to 725. Last year, "The Breakfast Club," ''The Princess Bride" and "Who Framed Roger Rabbit" and "Thelma & Louise" were picked.